It is now your chance to become a "Handball team Manager"! 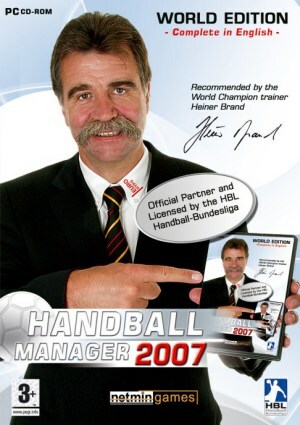 Recommended by the German World Champion trainer "Heiner Brand"
Choose a handball team from anywhere in the world and then guide it to national and international success. As team manager it's your job to make the right decisions, keep an eye on the transfer market, manage finances and choose the right tactics. Lead your club to national or European Cup glory or become the coach of a national team and take them to the World Championships & Olympic Games. Three main types of playing modes: "Select a Team" - "Real Management Career" or "Build your own Team"
** Countries, leagues, teams and players can be easily added or modified with the included "User Friendly Editor"